In the wake of the New England Hurricane of 1938, Oscar Grenier found work with the W.P.A. cleaning up storm damage near the Farnan Private Hospital for the Aged on North Billerica’s Mt. Pleasant Street. Grenier first noticed the smoke rising from the hospital just after 10 AM on September 30, 1938. He, George Lindsay, and Robert Louvering, all W.P.A. workers from Billerica, rushed into the burning hospital, up to its second floor, and discovered flames engulfing a bedroom. The men began pulling the patients, all between 60 and 92 years old, through the smoke and flames to the safety of the hospital’s porch. Oliver Damon, of Mt. Pleasant Street, saw the commotion, ran 500 yards to the corner of Mt. Pleasant Street and Billerica Avenue and pulled the alarm box. Rushing back to the fire, he helped the other men carry patients, some against their will, from the burning hospital to his house across the street. Some were in their beds, others in their wheelchairs. Some were blind or suffering from shock. One had no legs. From the 1889 Middlesex Co. Atlas. At the time, the future Farnan Private Hosptial was owned by F. Clark. Meanwhile, Billerica’s fire department answered the alarm, from the Billerica Central and North Billerica stations. Chief Bartlett arrived to find flames shooting from the hospital’s eaves. He immediately sought help from Lowell, which sent five more engines to the two-alarm fire. Hose lines were laid from every hydrant. Ladders were raised to every section of the roof. For a while, the fire threatened to engulf the entire building. Hundreds watched the firemen’s progress from Mt. Pleasant Street. Inside the Damon home, Louise Saber, the nurse-in-charge, directed the care of the patients, and ensured that the beds and cots were set up. First aid was administered. Quickly, the nurses determined that the patients had suffered no serious injuries. 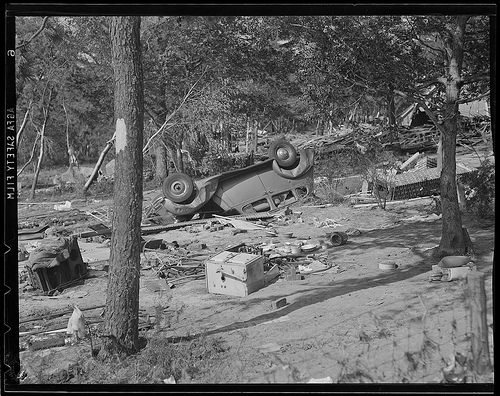 In the end, the firemen extinguished the flames, and Merle Farnan promised to quickly rebuild her hospital. 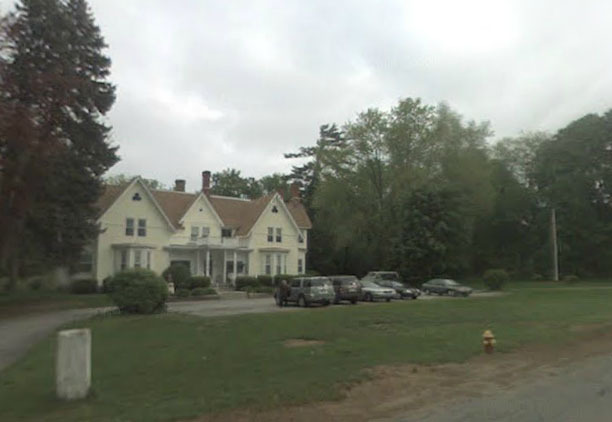 Even in 1938, North Billerica valued the historic building, which had been built as the Red Gables estate of Frederic Clark, a Talbot Mills treasurer, superintendent, and president. Investigators later traced the cause of the fire to the open flame of a first-floor fireplace, which had shot up the partitions, and burst into the second-floor bedroom entered by the W.P.A. men. At the time of the fire, the fireplaces were being used for heat because the building’s electrical service was out due to the recent hurricane. Merle Farnan did rebuild her hospital. During the rebuilding, North Billerica showed its generosity and hospitality when the Damon family and other neighbors took in the hospital’s patients. The following Independence Day, in 1939, Farnan treated hospital patients, and their gracious neighbors, to an elaborate display of fireworks. The building still stands today on Mt. Pleasant Street and is an apartment house. My father was only a little boy at the time, but he remembers the hurricane of 1938– he looked out the window and saw a tree blown down and said to my grandmother, “Mama, look, the tree fell down!” My grandmother didn’t believe him at first, but then saw for herself. No Doppler radar back then! Hey Ryan, haven’t seen a new post since this one (March). Hope you’re okay! So I thought it used to be governor talbot estate? The Talbot lands were across the street and to the west of the property where the hospital was. Before it was the hospital, Frederic Clark lived there, who was the treasurer at the Talbot Mills.